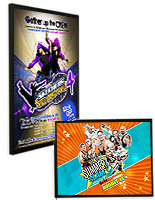 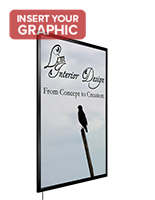 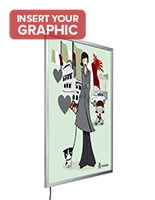 This black illuminated frame for wall hanging is a great display for movie posters and other large-scale advertisements. 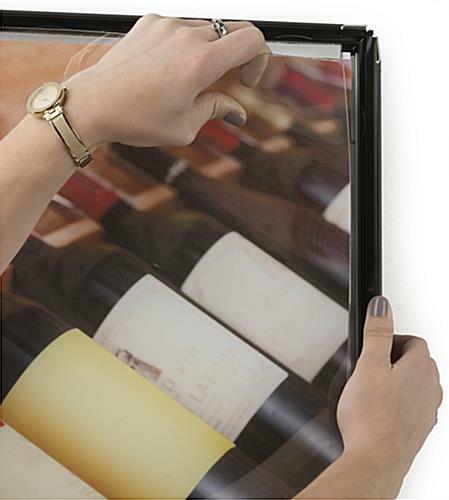 Sized 30 x 40 for eye-catching graphics, this LED snap style holder is also perfect for cafes and restaurants because the image pops, especially when its dark! 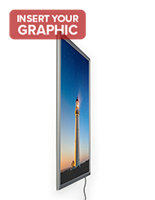 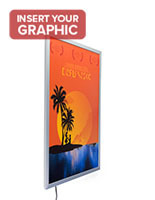 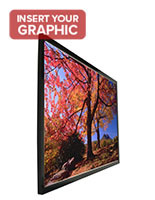 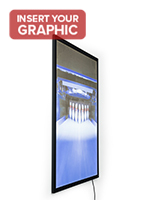 This illuminated frame with snap open styling can be shown horizontally or vertically. 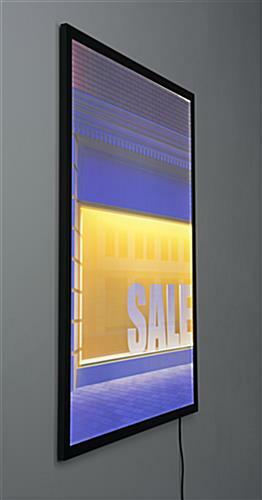 The energy efficient light guided back panel draws luminescence outward so prints are full illuminated. 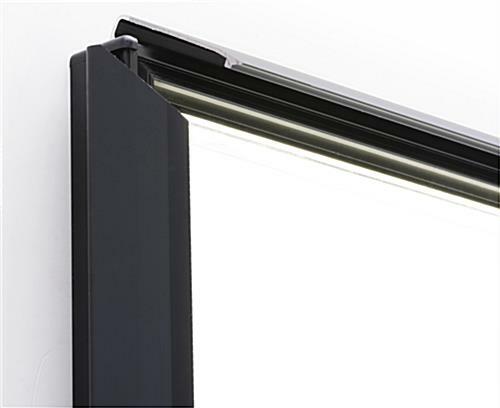 This frame has LED edge lit bulbs offering an average LUX of 7,000+ with no warmup time, so they use less electricity, saving establishments money. 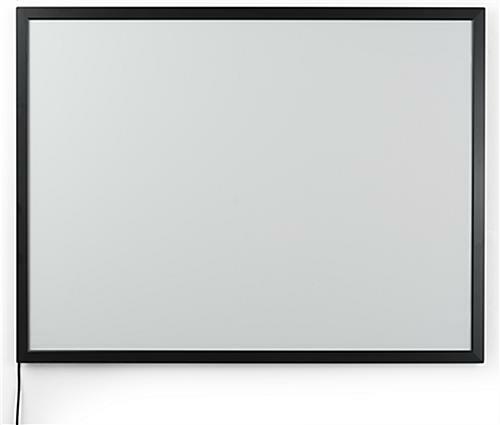 Screws and brackets are included in shipment with this signage.